The present price of a visa for Irish plus US citizens is just US $100 per individual. The majority of other nationalities pay out US $50 per individual. These can be obtained at the entrance point however should be purchased using U.S. dollars cash. Visas can also be found at Tanzanian Embassies plus Consulates in several countries. In case you’re getting into Tanzania through Kenya you are as well required to possess a Kenya visa which can be bought on arrival or upfront from embassies. Presently there is a “Transit Visa” price for passengers merely traveling through Kenya. Consult with your physician to obtain the latest medical recommendations. Anti-malarial tablets are highly recommended. Even though the Kilimanjaro climb is usually referred to as accessible to any fairly fit person, the blend of tough exercise, cold and higher altitude may have side effects. If uncertain please speak with your physician upfront. Tanzania mandates that people arriving should carry verification of a valid yellow-fever vaccination when coming from a known endemic region. This incorporates anyone who has first stopped in Kenya which is regarded as endemic. This vaccination should be given Fourteen days prior to arrival. Safari Clothes must be light, comfy and not very brightly colored. it is actually recommended that you dress casual. A sweater or light jacket could be required at night while on higher altitudes like at the edge on the Ngorongoro Crater. Comfortable hiking shoes are crucial, just as a hat to guard you against the strong African sun. Carry Sunglasses plus a extra pair of doctor prescribed glasses in case you use them. Make sure you remember a swimming outfit to use at your lodge swimming pools. A lot of people carry a binoculars and cameras as well as video equipment with lots of tape, memory card or film. Lenses are likely to end up being useful. you can as well purchase some camera Films from your lodges or camps however these are usually very expensive. Nearly all the lodges and camps have power places where you can charge your phones, camera and digital cameras batteries. The majority of the good hotels plus lodges spray their rooms and offer mosquito nets, however you should carry an insect repellent spray. A flashlight is usually helpful. The majority of the places may not provide you with a television or even radio, therefore you might wish to carry an iPod, or a short-wave small radio or even a Walkman in case you wish to stay informed about international events or even listen to music. Keep in mind that safari vehicles as well as lightweight aircraft have strong restrictions on the weight plus size of luggage transported. 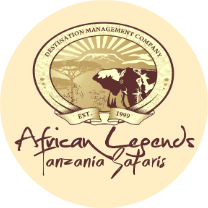 Based on your safari itinerary, it could be possible to keep some luggage back at your hotel within Arusha or at the offices of your tour operator. For simplicity in packing luggage in the safari vehicle or the light aircraft, we recommend that you have soft-sided bags. For people on scheduled departures, you are required to have these soft sided bags.